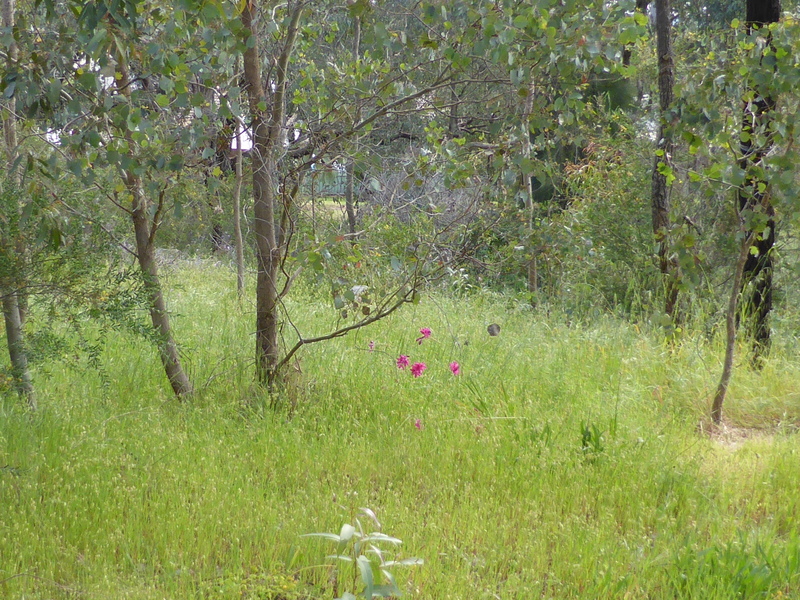 Spring has definitely sprung in the small patch of remnant native vegetation behind our house. The tiny scrap of remaining woodland jammed between McMansions, the freeway and an industrial block is glowing with golden wattle, mauve chocolate lilies and tiny scarlet & yellow peas. Last week, my eye caught an odd blaze of purple amongst the russet, green and gold – an exotic garden escapee swaying quietly in the breeze.